Visitors share the island with a fascinating bird population. Welcome to the third in our four-part Ea­ster series present­ing and celebrat­ing some of the is­lands which decorate the ed­ges of this is­land nati­on. Our next dest­inati­on is Flatey. Flatey is located in the bay of Breiðafjörður in West Iceland and is a real ‘get away from it all’ place, with a peaceful sleepy feel. But this hasn’t always been the case. 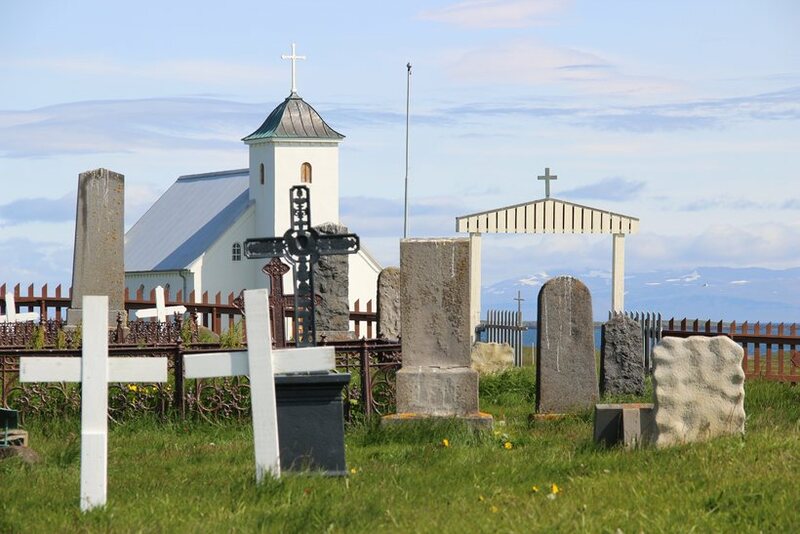 It was home to a famous monastery from the 12th century onwards, and was an important trade hub from the 18th century when Iceland was still under Danish rule. Nowadays, it is only a seasonal home, with most dwellings occupied during the summer. 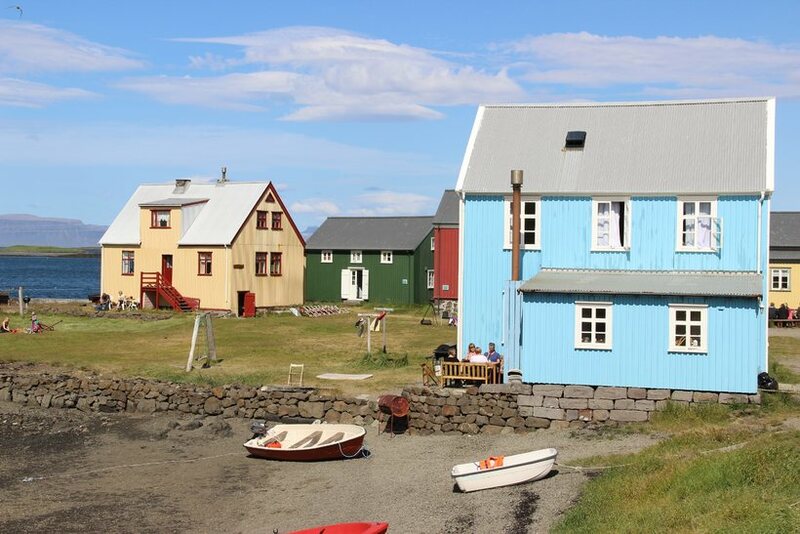 Flatey’s brightly coloured houses give the flat island (the literal meaning of its name) a homely and traditional feel. Flatey is probably best known as the original home of the largest medieval Icelandic manuscript – the Flateyjarbók (meaning ‘Flatey book’) – until it was given over, somewhat reluctantly, to King Frederick III of Denmark in 1656. 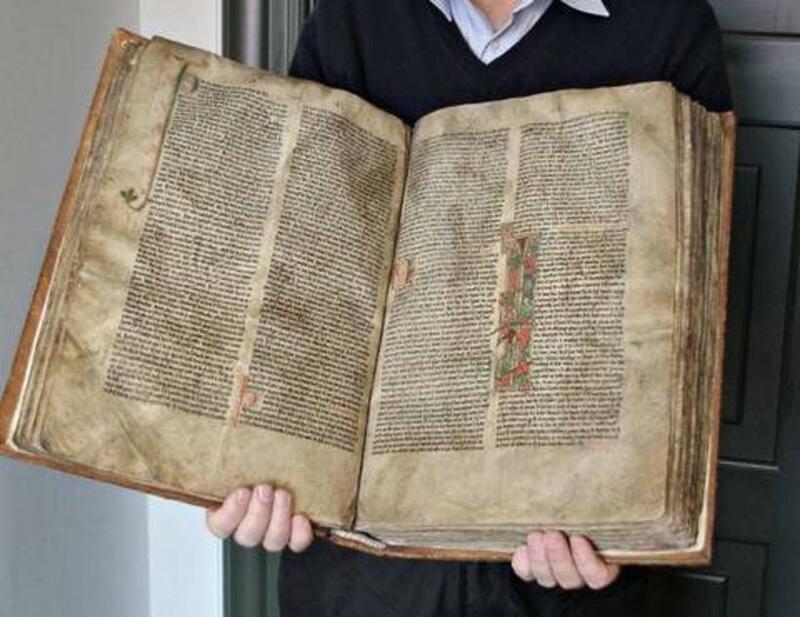 Denmark returned the manuscript to Iceland in 1971, and it is now preserved in Reykjavik. A passenger-car ferry (Baldur) crosses Breiðafjörður – from Stykkishólmur in West Iceland to Brjánslækur in the West Fjords – stopping at Flatey in the summer. 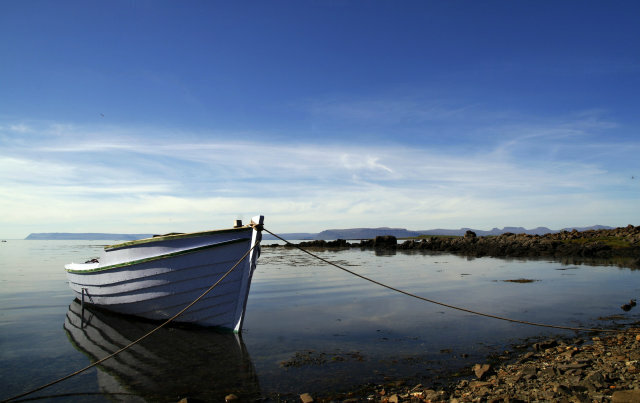 There are two return trips every day in the summer season, and the journey to Flatey takes 90 minutes from Stykkishólmur (adult fare: ISK 2,910; approx. €21) and 60 minutes from Brjánslækur (adult fare: ISK 2,400; approx. €17). See here for more details on prices, including for vehicles. 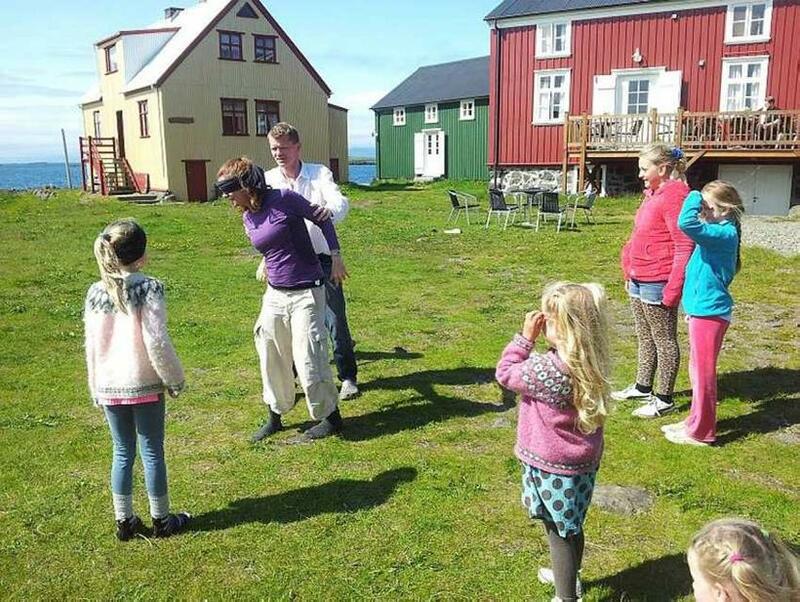 Walking, hiking and bird-watching are the order of the day in Flatey. Otherwise, the island is ideal of relaxing and enjoying the fresh air and calm surroundings. 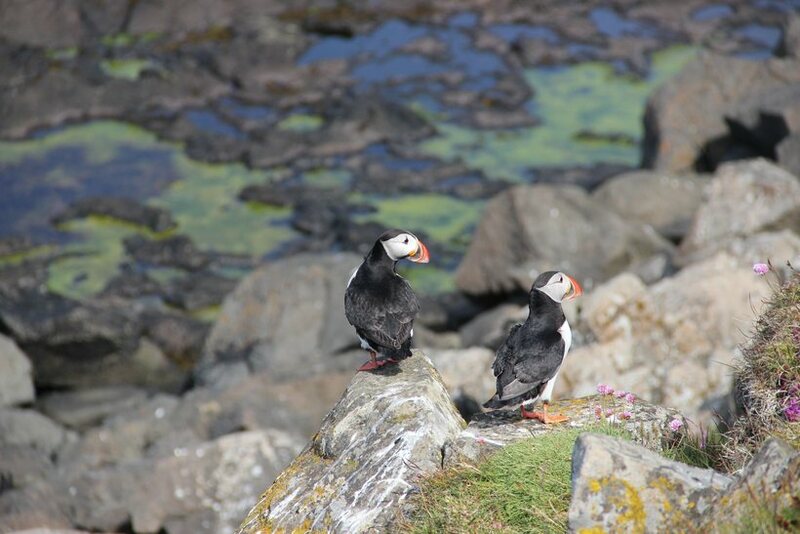 There are several accessible walking routes around the hill-free island, which is also visited by various species of bird, including guillemots, puffins and eagles. 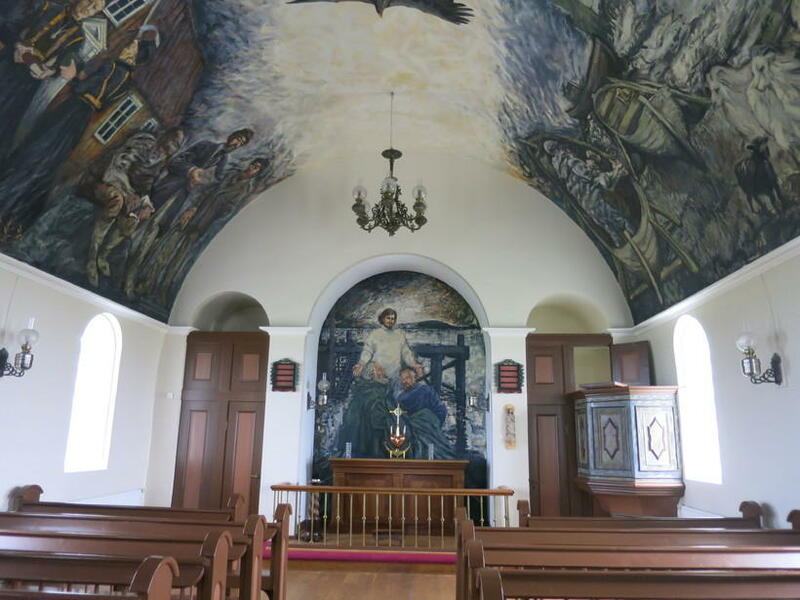 If you fancy a bit of man-made beauty, don’t miss out on the island’s church, which is decorated with paintings by Spanish painter Baltasar Semper. 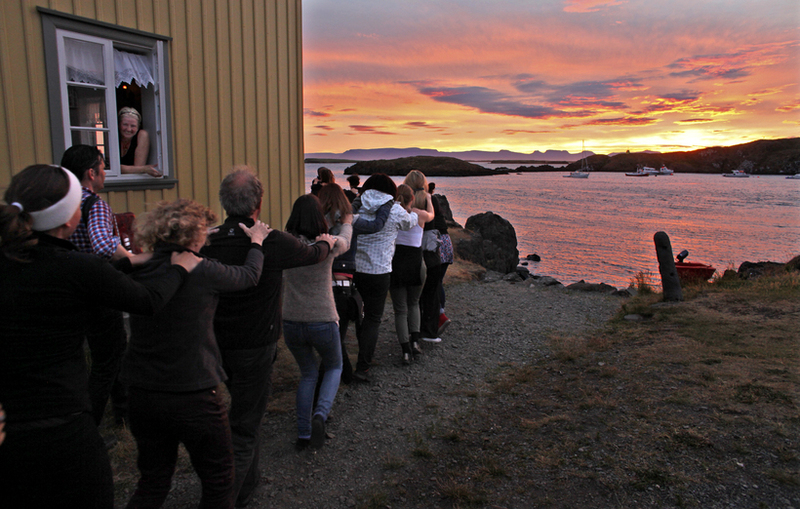 Join us again tomorrow as Is­lands of Ice­land mo­ves to its last destination: the is­land of Grímsey.